The Centre for International Governance Innovation (CIGI) is an independent, non-partisan think tank on global governance. CIGI supports research, forms networks, advances policy debate and generates ideas for multilateral governance improvements. For more information, click here. The Sprott Centre for African Research and Business (SCARAB) is a strategic research unit within the Sprott School of Business at Carleton University, Ottawa, Canada. SCARAB’s mission is to promote Africa-focused business research, evidence-based analysis, training, consultancy, and development services to private, public and not-for-profit organizations.. For more information, click here. The International Development Research Centre (IDRC) funds research in developing countries to promote growth, reduce poverty, and drive large-scale positive change.IDRC was established by an act of Canada’s parliament in 1970 with a mandate “to initiate, encourage, support, and conduct research into the problems of the developing regions of the world and into the means for applying and adapting scientific, technical, and other knowledge to the economic and social advancement of those regions.” For more information, click here. PROEXCA is a government-owned corporation assigned to the Regional Ministry of Economy, Treasury and Security, Government of the Canary Islands. Its main objectives are the internationalization of Canarian companies and the attraction of strategic investments into the islands. The primary aim of PROEXCA is to become a source of reference for the Canary Islands internationalization process. For more information, click here. 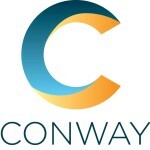 Conway, Inc. provides services related to domestic and cross-border corporate investment. It assists companies from all sectors to select locations for international expansion and to implement expansion, consolidation, or relocation projects; and assists government investment promotion agencies to promote their locations, identify foreign investors, and strengthen their ability to attract and retain investment. For more information, click here. The Economic Community of West African States, also known as ECOWAS, is a regional economic union of fifteen countries located in West Africa. 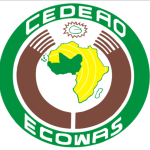 The member States of ECOWAS are: Benin, Burkina Faso, Cabo Verde, Côte d’Ivoire, The Gambia, Ghana, Guinea, Guinea Bissau, Liberia, Mali, Niger, Nigeria, Senegal, Sierra Leone and Togo. For more information, click here.